The charismatic Dhanush is undoubtedly one of the most popular and successful stars in the Tamil film industry today. During his highly eventful career, the 33-year-old has won the love of movie buffs thanks to his sincere performances, stylish dialogue delivery and remarkable range as an actor. Moreover, he has delivered quite a few hits and proved that he is a synonym for commercial success. Now, Dhanush is in the news for an awesome reason. 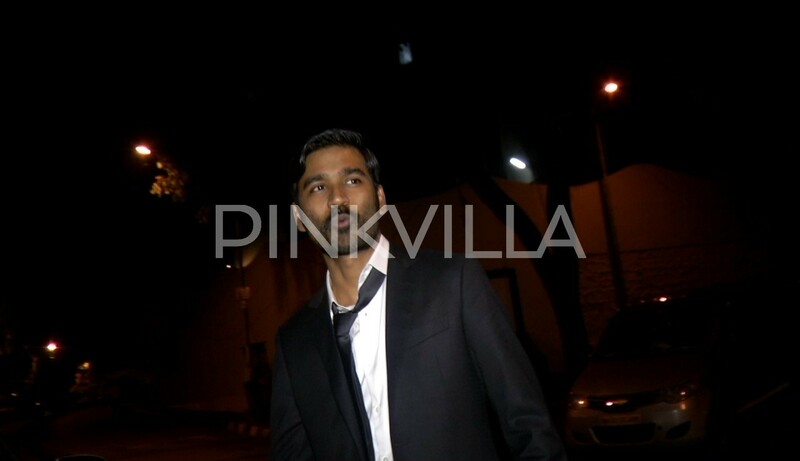 In an exciting development, he was spotted at a noted at a noted restaurant in Mumbai, yesterday. Needless to say, he looked smart and seemed to be in a relaxed mood. Dhanush was soon joined by his VIP 2 co-star and noted Bollywood actress Kajol. As expected, she too seemed to be in a relaxed mood and carried herself with grace. In case you did not, Kajol and Dhanush made quite an impact at the audio and trailer launch of ‘VIP 2’, yesterday. Their chemistry came across as quite crackling and made fans quite curious to see them together on the big screen. On a related note, ‘VIP 2’ is touted to be an action-comedy and has been directed by Soundarya Rajinikanth. It is a sequel to the 2014 release ‘VIP’ and also features Amala Paul in the lead. She was a part of the first instalment as well. Interestingly, this is Dhanush’s first release of 2017. He was last seen in ‘Kodi’. Touted to be a political-thriller, it received favourable reviews upon release. A photo of Kajol at the restaurant. Who is this autodriver ?